Chest Rig With Magazine Pouches, tippmann tmc player gear. Paintball Chest Rig With Magazine Pouches. Adjustable Waist Strap with quick connect buckles. 4 rifle magazine pouches. 4 small utility pouches. 2 large radio pouches on the end for larger accessories or extra room for paintball marker magazines. MOLLE Compatible Webbing Covers Most Of Vest. Handing Loop For Pistol Or Duty Belt. Front, Right Handed Zipper Closure. Corded Sides With Lock. The Pro Vest has many high performance features including an Integrated Body Wrap Belt and Four Rigid Pod Sleeves on the back with Strong Pull Tabs. Two expandable pod sleeves allow the player to add two more pods when needed. TIPPMANN TMC Magazine Pouch vest black. Paintball Chest Rig With 3 Double Magazine Pouches. We do our best to process as quickly as possible. Subject to credit approval. mesh vest black With 4 Magazine Pouches, tippmann tmc gear. Subject to credit approval. We do our best to process as quickly as possible. vest Tippmann TMC mag holder black. Tippmann tmc accessory mag holder black mesh style, mesh vest. We do our best to process as quickly as possible. Subject to credit approval. The Gen X Global Reversible Chest Protector is protection and a harness built into one. 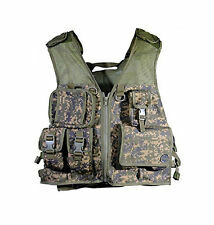 This foam padded zip front vest reverses from camo to black and adjusts for width on the sides. Switch from camo to black. Balls break on the harder outer layer suit while the softer under layer protecting the employees from impacts. Easy to clean closed cell foam. No assistance needed to get dressed. Just strap it on and go! Tippmann Paintball Padded Chest Protector - Black. Take the Sting OUT of Paintball w/ Chest & Neck Protectors. Padded Chest Protector - Black or Camo has brought you a new line of chest protectors! Never feel that sting of paint again with 's padded chest protector. 6 front pockets and front gun holster have Velcro and snap closures to ensure contents won't fall out. Color: OD Green. Two large inner pockets. I am not an expert in any field. I will work with you, personally. This is the vest for the guy everybody wants on their team. Molle style. We will respond to your inquiry in 24-48 hours. SIZE CHART. Need to carry a lot of gear?. The GenX Tactical Paintball Vest has got you covered! 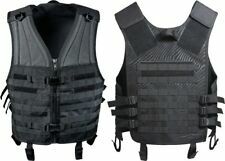 This heavy duty vest will provide front and back protection. Manufacturer's warranty goes into affect thereafter. Maddog has brought you a new line of chest protectors! Never feel that sting of paint again with Maddog's padded chest protector. Take the Sting OUT of Paintball w/ Maddog Chest & Neck Protectors. Maddog Padded Chest Protector - Camo. 600D construction;. universal cross-draw holster with hook and loop fastener;. multiple adjustable rifle magazine pouches with hook and loop fasteners;. God bless. double magazine pouches;. This Cobra Defense vest is designed for optimum protection. It is lightweight, comfortable, useful, fully adjustable, and functional. Professional PVC protective vest armor. Large full coverage panels to protect the chest and back. Valken Paintball Tactical Universal MOLLE Tank Holder Vest Pouch - Olive Green. Mounts to MOLLE either vertically or horizontally. Available in black. Adjustable for Co2 tanks 20oz - 24oz. For added protection on the field, the Tippmann Chest Protector provides front and back, upper body coverage from close range shots. This replica gun contains the colored markings required by law, including a permanently attached orange tip. CAMO Paintball CHEST PROTECTOR. Provides great protection against chest and back paintball shots! -Tough nylon, Exterior Layer - LIGHTWEIGHT BODY ARMOR. The photos shown are of the actual item(s) you will receive. Official Paintball Armor. Fits both adults and children. 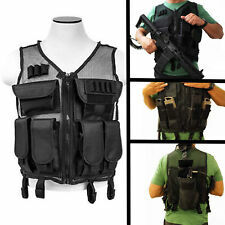 Bulletproof Jacket Carrier ABA for Paintball Air-Soft - Large (A42). ABA (A42). Bulletproof Jacket Carrier. Our bulletproof jacket carriers haveNo Ballistic Qualities. They have interior pockets front and back into which ballistic panels would be inserted, If you intend to use them for protection from Paintballs you can make the panels yourself from foam sheet or similar. New Jersey May 1 2019. Connecticut starting April 1 2019. Minnesota, Washington, Iowa February 1 2019. 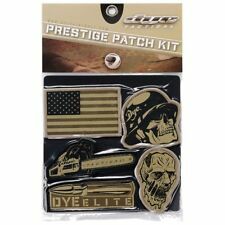 Airsoft Accessories, Ammo, Hood, Digital camo Vest, gloves, elbow pads, ect. Everything pictured is included in this lot. Used but still in great condition. Around 8000 count Ammo new. Suit is size (L). Everything with be stuffed in a large flat rate box for quick delievery. COMPLETE ALL-IN-ONE PAINTBALL / AIRSOFT PROTECTIVE COMBO! Each kit contains: Maddog Padded Chest Protector, Maddog Neoprene Neck Protector, and Maddog Tactical Armored Half-Gloves. Don't Be Afraid to WIN!